The Coming Depression: The Mysteries of Finance: What Do Canadians Know that Americans Don't? The Mysteries of Finance: What Do Canadians Know that Americans Don't? HALIFAX, N.S. I have just arrived in Canada to participate in the Halifax International Security Forum and find myself suitably impressed with my surroundings. It is my first visit north of the border in more than a decade and it is abundantly clear that the Canadian economy has been outperforming. The markets concur. 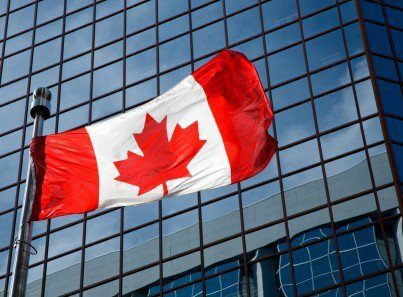 Canada’s success is notably symbolized by, for instance, the Canadian dollar — the “loonie” — which is up more than 55 percent against the U.S. dollar in the last ten years. It is chastening to note that just since the beginning of the Wall Street crisis in late 2008 alone it has gained more than 25 percent. So what do the Canadians know that Americans don’t? One thing surely is that you can’t have a healthy economy if you have a sick financial system. The fact is that the Canadian banking system has not suffered a serious crisis since the 1930s. Compare that to the pattern of rapidly recurring crises that have rocked the U.S. banking system since the 1980s. Lets see... A very small population, an ENORMOUS supply of natural resources and a rich and very large buyer nation on a 3000 plus mile border with you. And you think there good luck is because of something they know??? Bwahahah!! Americans have the reserve currency???? Bwahahah!! I notice you didn't mention that Canada has a national health care system, which relieves businesses of the burden and cost of supplying it to their workers. I wonder if that also has something to do with their success? Or is such a program just too much "Socialism" for you to bear? Go away Sharon! No one cares what you have to say. You have (repeatedly) proven yourself an idiot. Most informed people know the Canadian health care system is fine for simple things like setting broken bones and "take two aspirins and call me in the morning" issues. The problem lies with complicated cases where waiting 6-9 months for advanced treatment is a death sentence. Living close to the border with the Canadians we see the northern neighbors coming for surgeries and intensive care they cannot afford to wait for on a regular basis. Being a responsible human being means paying your own way but people like Sharonsj never get that. They expect others to pay for their misfortune and poor choices. I hope she stays. She needs to be here to remind people we face an ever growing class of parasites that that just may kill the host. One more thing Sharon, Canada's business success come from one of the lowest corporate tax rates in the developed or force banks to loan money to slackers that never intend to back back their debt. This list goes on, but you should get the point with an average I.Q.